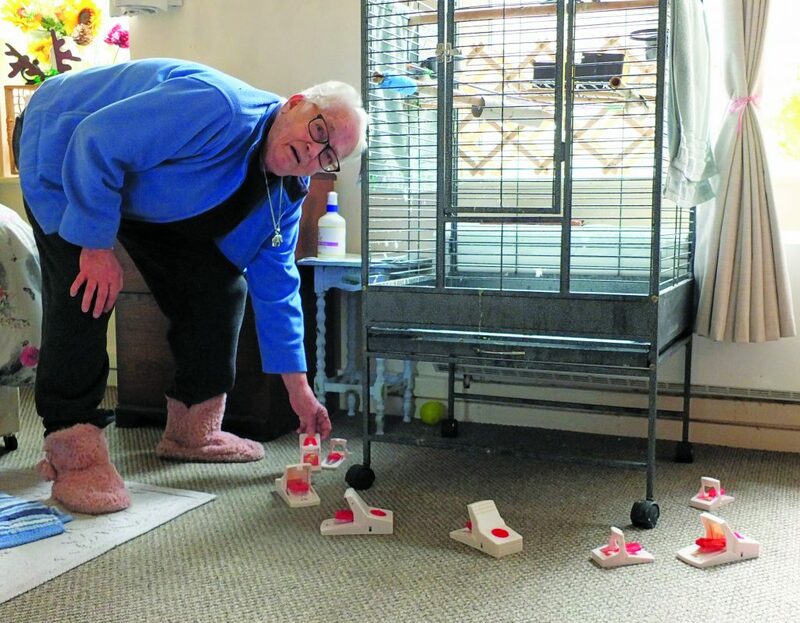 MICE are infesting many of the homes in a sheltered housing complex in Woking, whose residents say their landlord is not doing enough to stop the problem. One of the tenants says she has been trapping the rodents in her bedsit for three years without respite. Elize Russell lives at Wesco Court, off Board School Road, Maybury. The 40 homes there are owned by Woking Borough Council and managed by New Vision Homes. Mrs Russell, a retired careworker, has a chest complaint which means she has to have oxygen therapy throughout the day and night. “I put on a facemask when I go to bed, which can make it difficult to get up,” she said.